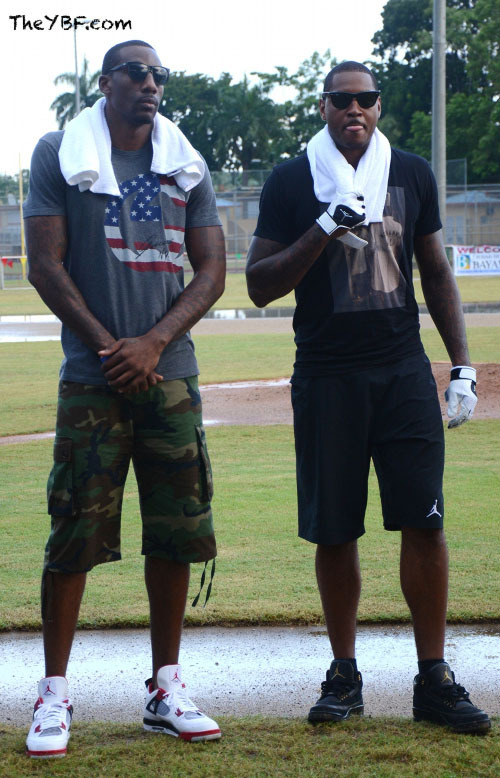 STAT joins Melo for his charity weekend in Puerto Rico. If you're following @CarmeloAnthony and @Jumpman23 on Twitter, you're aware that Carmelo Anthony was in Puerto Rico for "A Very Melo Weekend," refurbishing basketball courts and taking part in several charity events. One of the weekend's scheduled events was a celebrity softball game, featuring the who's who from sports, music and entertainment. Several of Melo's New York Knicks teammates flew out for the occasion, most notably Amar'e Stoudemire, who joined the Jordan Brand rep in rocking a fresh pair of Jordan retros. Amar'e broke out the recently released "Fire Red "Air Jordan 4, while Melo opted for the "Black History Month" Air Jordan 3. Unfortunately, the game was called off due to rain, but the fans still enjoyed meeting some of their favorite celebrities. And Raymond Felton. 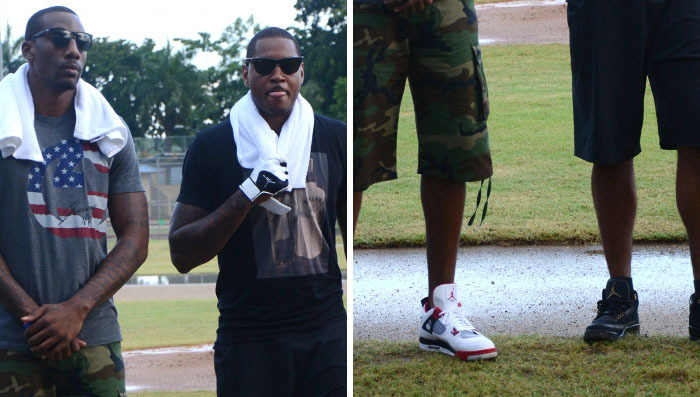 Check out Melo and STAT's Puerto Rico footwear below.